550 pages | 30 B/W Illus. Forty-five contributions from renowned international specialists in the field provide readers with expert analysis of the core issues related to the welfare state, including regional depictions of welfare states around the globe. 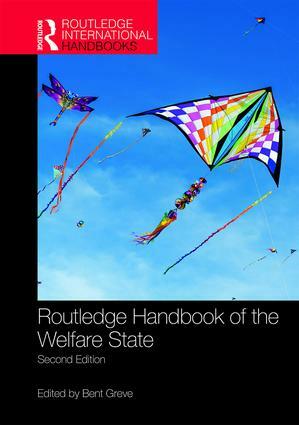 The second edition of the Routledge Handbook of the Welfare State combines essays on methodologies, core concepts and central policy areas to produce a comprehensive understanding of what ‘the welfare state’ means around the world. In the aftermath of the credit crunch, the Handbook addresses some of the many questions about the welfare state. This second edition has been thoroughly revised and updated to include an in-depth analysis of societal changes in recent years. New articles can be found on topics such as: the impact of ideas, well-being, migration, globalisation, India, welfare typologies, homelessness and long-term care. This volume will be an invaluable reference book for students and scholars throughout the social sciences, particularly in sociology, social policy, public policy, international relations, politics and gender studies. What is a Welfare State? What are Welfare State Typologies and How Are They Useful, If At All? How to Analyze Welfare States and Their Development? Future of the Welfare State? Bent Greve is Professor of Welfare State Analysis in the Department of Society and Business at Roskilde University, Denmark. He has published widely on different topics surrounding the welfare state, including technology and the labour market, happiness and social policy, and labour market policy. He is also a member of several boards and committees in Denmark and internationally.